The Springs Preserve Board of Trustees is responsible for creating policy and overseeing management of the Springs Preserve. The Board of Trustees comprises representatives from the Las Vegas Valley Water District Board of Directors, the Springs Preserve Foundation Board of Directors, the Las Vegas City Council, the University of Nevada Regents, and Nevada historical and humanities interests. Board of Trustees Chair Larry Brown has served on the Clark County Commission since 2008. Prior to being elected commissioner, Brown served on the Las Vegas City Council from 1997 to 2008. Brown came to Las Vegas in 1983 to play pro baseball for the Las Vegas Stars. After his retirement from baseball, he went to work for the Las Vegas Valley Water District as the director of Public Services, and later became involved in politics. He also serves as chair of the Southern Nevada Regional Transportation Commission and the Clark County Regional Flood Control Commission. 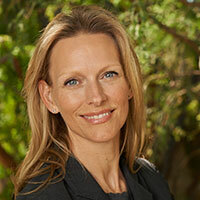 Board of Trustees Vice Chair Jenna Morton is a co-owner of Morton Group, a restaurant development company with venues in Las Vegas, including La Cave Wine and Food Hideaway inside Wynn Resort; La Comida, a Mexican joint in downtown Las Vegas, and CRUSH eat, drink, love in the MGM Grand Resort. She is a graduate of Northwestern University. She is the co-chair of After School All-Stars Las Vegas and a member of the Board of Directors for Community Cloud Forest Conservation. Clark County Commissioner Justin Jones was elected to the Clark County Commission in January 2019. Jones served in the Nevada State Senate as an assistant majority whip from 2012 to 2014. He has provided pro bono representation to child victims of domestic abuse and neglect through the Legal Aid Center of Southern Nevada's Children's Attorney Project. He also has served as chair on the Volunteer Center of Southern Nevada and Battle Born Progress, as a board member for United Way of Southern Nevada and Emerge Nevada, and as a founding board member of Nevadans for Background Checks. 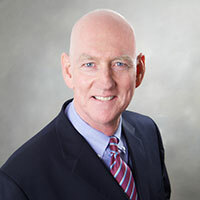 Jones has been a practicing attorney in Nevada since graduating from George Washington University Law School in 2001. Before entering private practice, Commissioner Jones served as a law clerk to the Honorable Roger L. Hunt of the United States District Court, District of Nevada. For more information about Commissioner Jones, visit the Clark County website. Sam Lieberman is a member of the Nevada System of Higher Education Board of Regents. 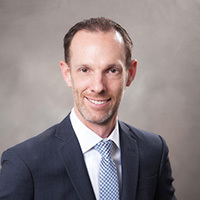 A 1996 graduate of the University of Nevada, Las Vegas, Lieberman serves as the chairman of the UNLV College of Liberal Arts Community Advisory Board. 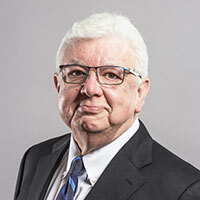 A past UNLV Alumni Association board member, he is a member of the annual giving council for the UNLV Foundation and has served on numerous professional search committees within the Nevada System of Higher Education. Lieberman also has been active in the non-profit sector. He serves as chairman of the Alzheimer's Association Desert Southwest Chapter Regional Leadership Council, and has been a board member for HELP of Southern Nevada for more than 25 years. 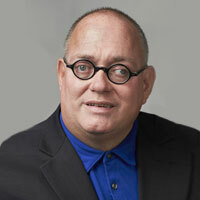 He also assisted with the start-up of the Independent Transportation Network Las Vegas Valley, the Nevada affiliate of a national nonprofit transportation network serving seniors and people with visual disabilities. Dr. Ray Rawson served nearly 20 years on the Nevada State Senate and was elected to the Senate Hall of Fame. The first dentist to serve in the Nevada Legislature, Rawson also previously served on Nevada's Board of Regents, which governs the Nevada System of Higher Education. Rawson has researched, taught, and lectured extensively on public policy, dentistry, anatomy, anesthesia, and specialized criminal justice. He has served nationally on the Education Commission of Higher Education and has been widely published in scientific journals. Rawson was the student body president of UNLV's first graduating class in 1964. Rory Reid is currently the founding partner of the Law Office of Rory Reid. His law practice focuses on government relations, real estate, and state and local permitting with a particular emphasis on the energy sector. 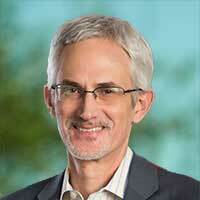 He also serves as President and Chief Operating Officer of The Rogers Foundation. Reid was raised in Southern Nevada and educated in its public schools. He has been active as both a business and civic leader in the community and on the boards of several civic organizations. Reid was elected to the Clark County Commission in 2002 and was appointed its Chairman in 2005 and 2007. The Commission oversees the nation's 14th largest county, which includes the Las Vegas Strip. During his tenure, Reid championed economic development, ethics reform, open government, and improved social services. The Las Vegas Review-Journal named Reid its "Best Local Politician" in 2007, and he was the Democratic nominee for Governor of Nevada in 2010 and was named among the "Best Lawyers in America" in 2012. He has received numerous other awards and recognitions for his extensive service. Reid and his wife, Cindy, are the proud parents of three children. 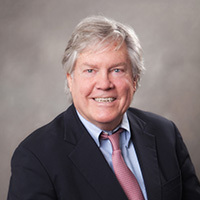 A third-generation Nevadan and a fourth-generation Nevada state representative, Tick Segerblom joined the Clark County Commission in January 2019. He previously served in the state Assembly from 2006 to 2012 and as a state senator from 2012 to 2018. Before entering politics in Nevada, Segerblom served in the White House Personnel Office for President Jimmy Carter. He was later appointed by former Nevada Governor Richard Bryan to the Colorado River Commission, where he served from 1988 to 1990. In 1990, he was elected to a four-year term as state chair of the Nevada Democratic Party. A graduate of Pomona College in California and the University of Denver Law School, Segerblom practices law, specializing in employee-employer relations. For more information about Commissioner Segerblom, visit the Clark County website. A Las Vegas resident since 1957, Nevada Broadcasting Hall of Fame honoree Bob Stoldal is the news director of KSNV-DT Las Vegas. In 2009, he was named vice president of news for Sunbelt Communications Company (KSNV-DT's parent company). He currently oversees news operations for the company’s stations in Nevada, Idaho, Arizona, and Montana. Stoldal serves as chairman of the Nevada State Board of Museums and History and the City of Las Vegas Historic Preservation Commission. 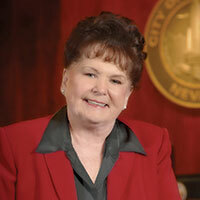 Currently representing Ward 1, Las Vegas City Councilwoman Lois Tarkanian also served for 12 years as a member of the Clark County Board of School Trustees. 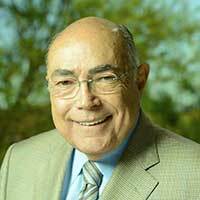 Tarkanian holds a Bachelor of Arts in education, a Master of Arts in speech pathology, and a doctorate in leadership and human behavior. As an educator, she held positions as a classroom teacher, a speech pathologist, principal, central office administrator and Nevada community college and California State University instructor. Tarkanian serves as a board member on the Clark County Public Education Foundation and the Family and Child Treatment Center for Abused Children as well as others. She has been recognized with numerous awards for her philanthropic efforts, including the Humanitarian of the Year Award from Catholic Community Services and the Golden Book of Deeds Award from the Kiwanis Club. Dr. Tarkanian was married to former UNLV basketball coach Jerry Tarkanian for 53 years. She has four children and 11 grandchildren. In accordance with NRS 241.020, meeting agendas are posted online by 9 a.m. three business days prior to the scheduled meeting, barring any server problems. Note: if you use assistive technology, such as a screen reader, to access web content and have difficulty accessing meeting agenda materials, please email us or call 702-258-3930.